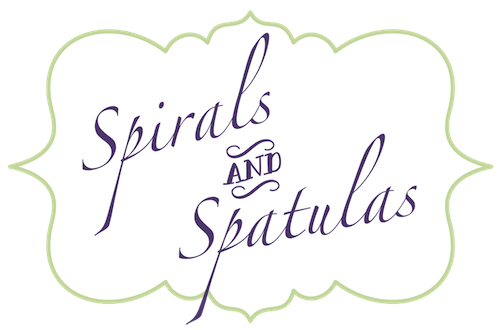 Spirals & Spatulas: Ordering, Donating, Painting, and Drilling! #3 Design and order our wedding album - I went with MyPublisher, found a 25% off coupon, and should have our wedding album in a week or so! #14 Go through my closet and take things I don't wear to Goodwill - I cleaned out my closet before moving in with Jeff post-wedding, so most of what I got rid of this time around were things I almost donated last time, but then decided I would wear (and didn't). In the end, I think I took about 10 shirts, a dress, a pair of pants, two purses, two pairs of slippers, and two pairs of shoes. #30 Go to the Goodwill store - I wanted to go browse around because I kept seeing blog posts about how a $7 dresser/$1 vase/$10 table was refinished/spray-painted/etc. 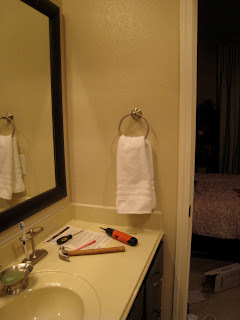 to make a perfect decor item. I don't know where these people are finding these things though, because there wasn't a single item in the furniture section at our Goodwill store priced lower than $60, and most of the vases and frames and things were cracked or priced high enough that I could buy the same thing, but new, at Marshalls or TJ Maxx for less money. I was disappointed because I thought it would be great to get a good deal and help out Goodwill as well, but no such luck. Maybe it's a hit-or-miss sort of thing? #18 Kiss my husband at midnight on New Year's - Did I mention it's great having Jeff back in Texas again? This is only the second New Year's Eve that we've celebrated together (he was in the marching band in College and was always gone on bowl game trips), so it was quite nice! #23 Take a second to celebrate our 6-month anniversary on Dec. 31st - Well, it turns out my brain doesn't work well during finals, and Dec. 31st was actually just our FIVE month anniversary. But we did celebrate after midnight (just us) with some strawberry margaritas and How I Met Your Mother DVDs, and it was great! #19 Hang a towel bar in my bathroom - I even went above and beyond and hung one in Jeff's bathroom too (did I mention that we don't share a bathroom? Because we don't. It's good for our marriage). 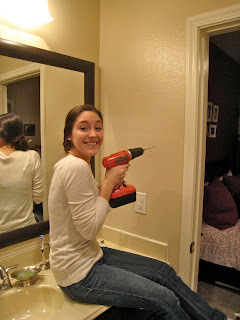 Plus, I got to use a drill for the first time ever (can you believe it?!?). And I liked it! Excuse the messy bun and makeup-less face. I didn't have anywhere to go that day, and thus had no motivation to put myself together. I hope future stay-at-home mom Me doesn't turn out like that. 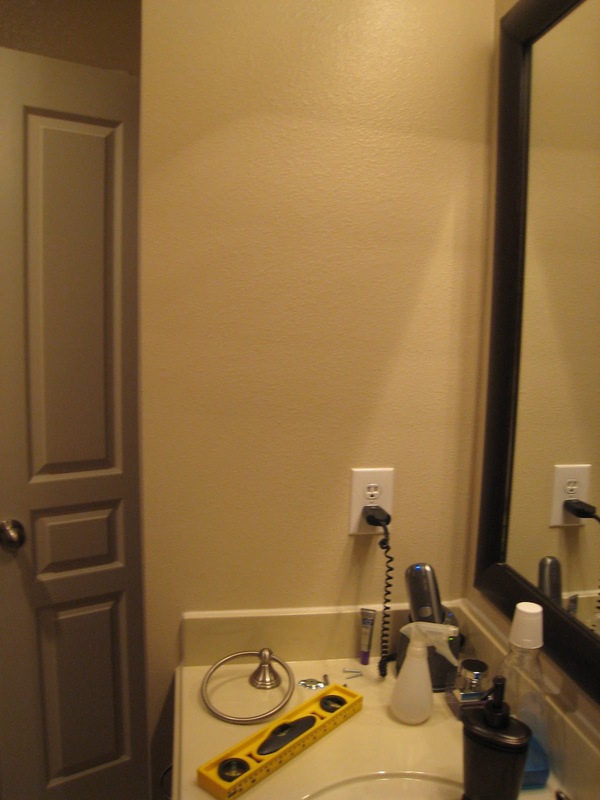 I decided to hang it off-center because of the electrical outlet, and because I sometimes have a lamp in that corner on the counter. #26 Make the bed every day - I'm still going! AMAZING! I seriously thought I'd mess this one up within the first week, but now it drives me crazy if the bed isn't made in the morning. Go figure. Yep, stick people. But they're stick people in love, and they look awfully cute matted in red and living in a black 11x17 frame (PS - here's a money-saving secret: If you already own a frame, but it's too big, buy a mat! They're only a dollar or so, and they make stuff look cute! We already had this black 11x17, but my canvas was 8x10, so I just got that red mat!). Plus, they make me happy whenever I'm in there! Again with the messy bun and no makeup. What was I thinking? I've got eight things left on the list, and I still have another 11 days before I go back to law school! I may not finish completely, but I'll be close! 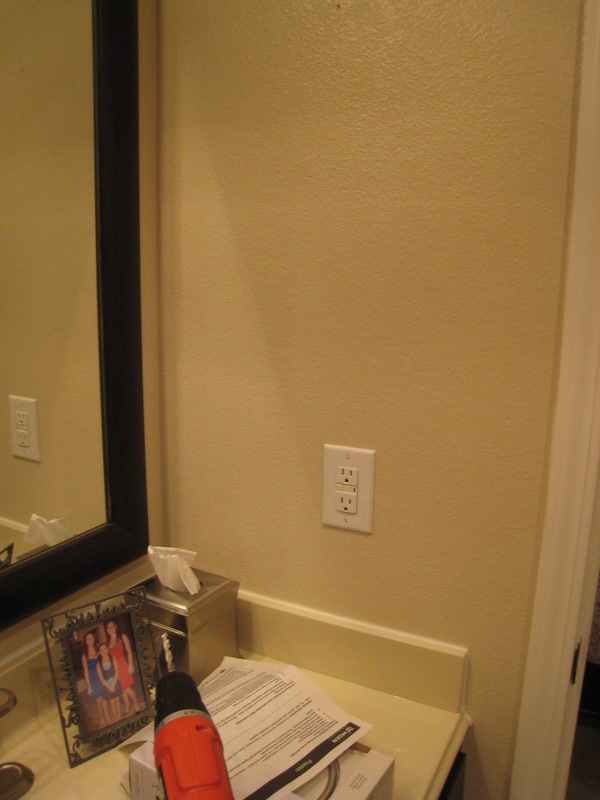 If only I could convince myself to clean those baseboards... (#5). Whew. 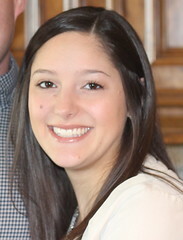 Long post! What do y'all think? Is it okay to hang stick people on your wall? 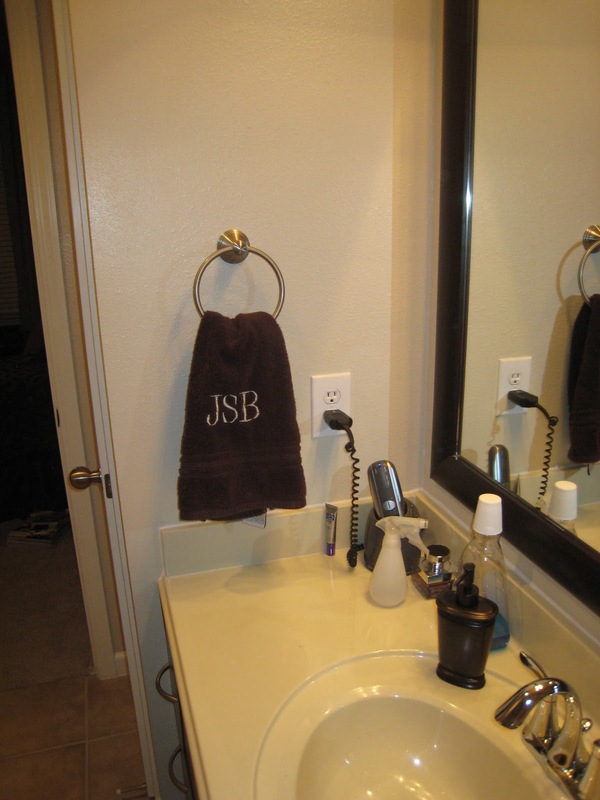 Is it weird to use the guest bathroom so you don't have to share with your husband? Why does the Goodwill store charge $250 for a really old TV stand? 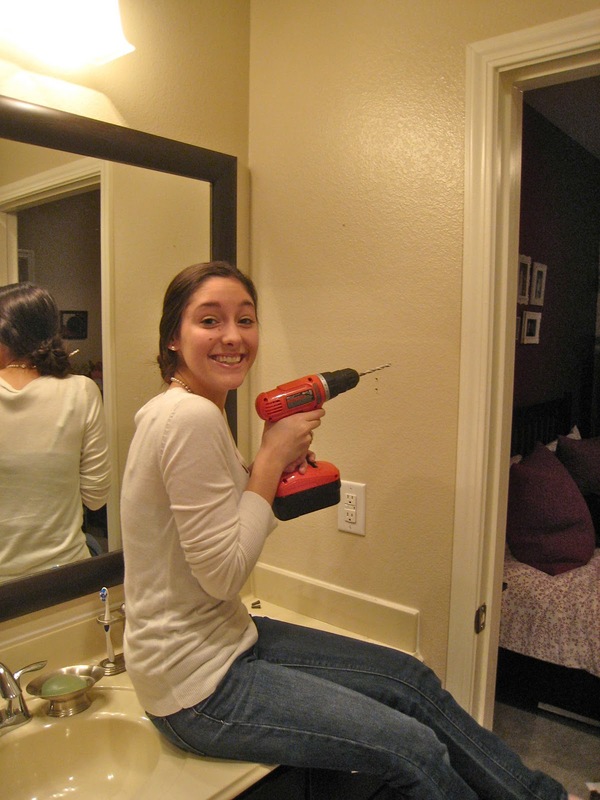 Were you really excited the first time you used a drill? And most importantly... can someone please convince me to clean the baseboards already?!? I am so impressed with all your projects! Love them all - especially the stick people.